Deputy Min. ex-ambassador Michael Oren says present situation with Gaza 'untenable, insufferable', says Israel must go after Hamas leaders. Israel must launch a concerted effort to eliminate Hamas’ leadership to deter the terror group from continuing its use of airborne incendiary devices and rocket attacks against Israel, a senior Israeli lawmaker says, arguing that the current security situation along the Gaza border cannot be allowed to continue. Beginning on March 30th, tens of thousands of Gaza rioters attacked Israel’s border fence in a series of orchestrated attempts to breach the border. Dubbed the “March of Return”, the riots included attempts by armed terrorists to infiltrate into Israeli territory, and attacks by rioters on IDF soldiers deployed to protect the border. In recent weeks, the size and frequency of the riots have declined – while a new form of terror – dubbed “kite terrorism” has emerged. Using kites, balloons, and even birds to carry incendiary devices into Israeli territory, cells of Hamas-aligned terrorists have launched thousands of incendiary attacks on Israeli targets, causing millions of dollars of damage. Terror groups in the Hamas-ruled Strip have also escalated the use of rocket and mortar fire against Israeli towns in recent weeks, hitting a home and synagogue in the western Negev town of Sderot. While the IDF has fired warning shots on terrorists spotted launching terror balloons, the attacks have prompted demands by some Israeli leaders that the army strike directly at those responsible for assembling and deploying the airborne incendiary devices. Yet defense establishment officials have argued that they IDF is barred ethically from using deadly force on those launching the incendiary devices, claiming that most are minors recruited by Hamas. Deputy Minister in the Prime Minister’s Office and former Ambassador to the US Michael Oren (Kulanu) argues that the IDF has a viable alternative. 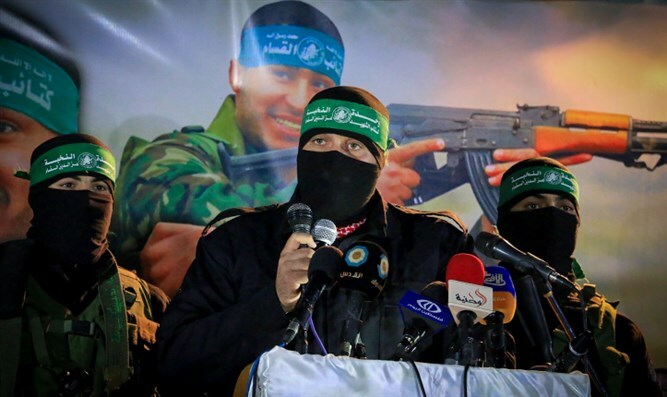 Israel must make a concerted effort to hit assassinate every Hamas leader it can target in the Strip, Oren told Arutz Sheva.